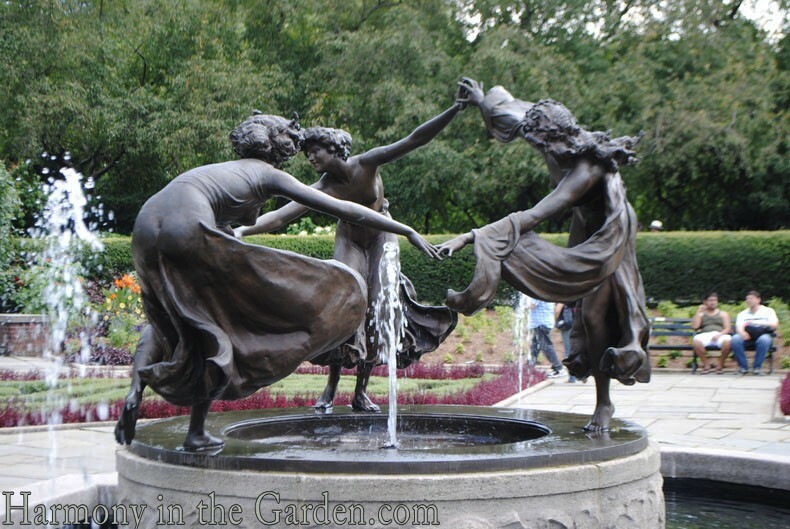 Without a doubt, one of my very favorite places in New York is the Conservatory Garden in Central Park. 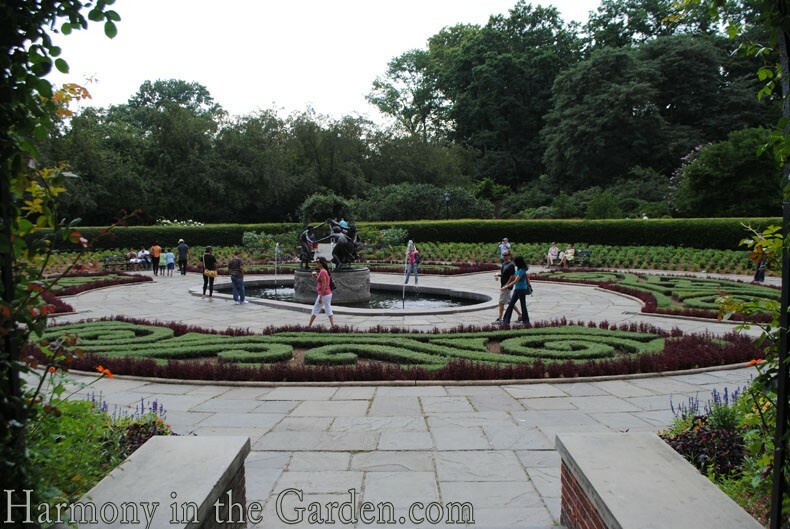 This was my first time visiting this garden, and I wasn’t in much of a hurry to do so as I mistakenly thought it would be yet another formal garden filled with the predictable evergreens, fountains and acres of lawn. Pretty, but probably not the most inspiring. 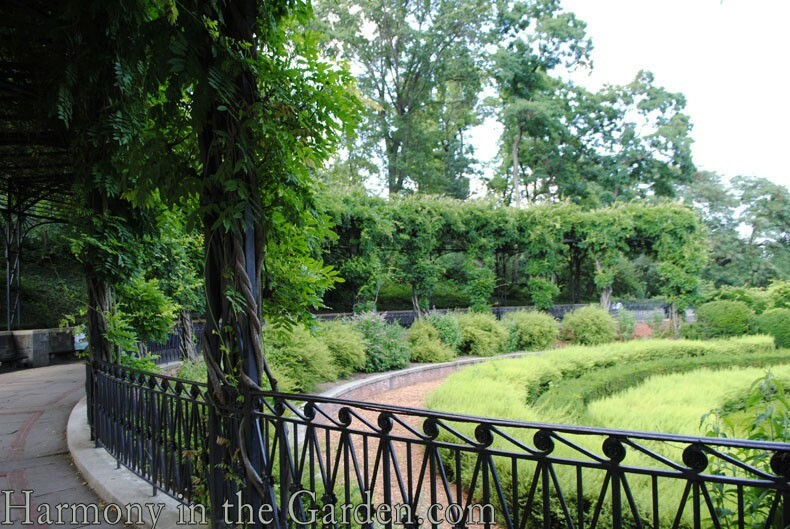 While, yes, it is a formal garden (complete with lush lawn, intricate topiaries, splashing fountains and the most beautiful wisteria covered pergola I’ve ever seen), once I realized it was designed by one of my favorite designers, Lynden B. Miller, I knew it would be so much more. 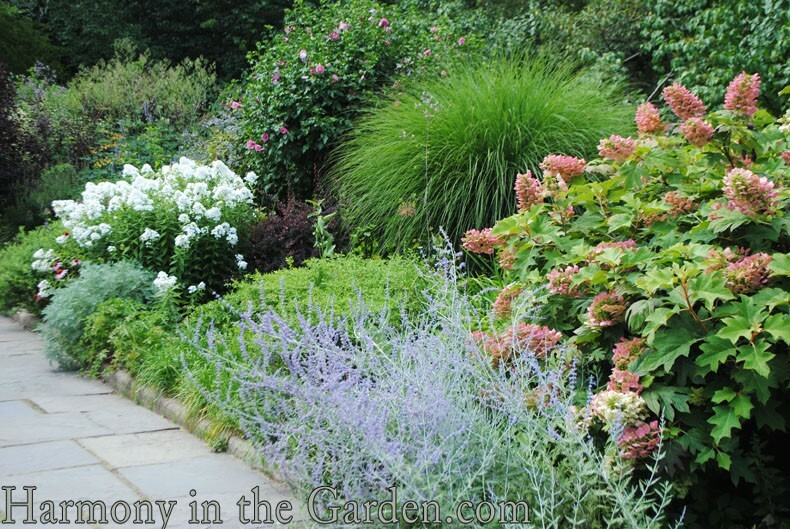 Ms. Miller is also the designer behind the Heather Garden, and similar to that garden, this one also has its share of breath-taking planting beds. 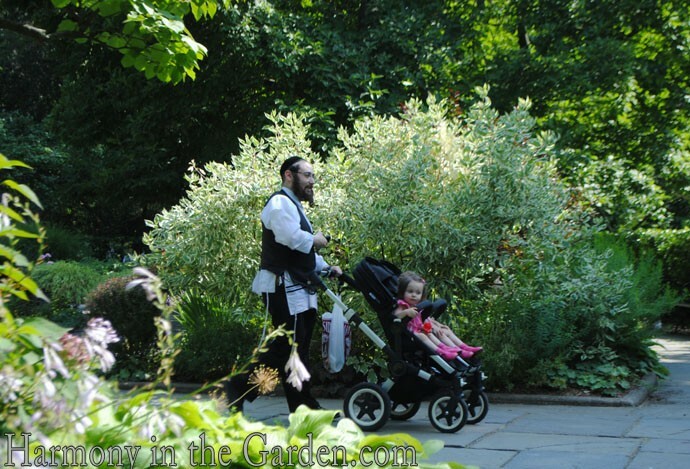 Like most of the public gardens that I saw, this one was also visited by every imaginable walk of life, ranging from nuns enjoying an afternoon walk, to Hasidic Jews with toddlers in tow, to tired teenagers (yes, that would be my daughter) and, of course, plenty of insects and birds everywhere. 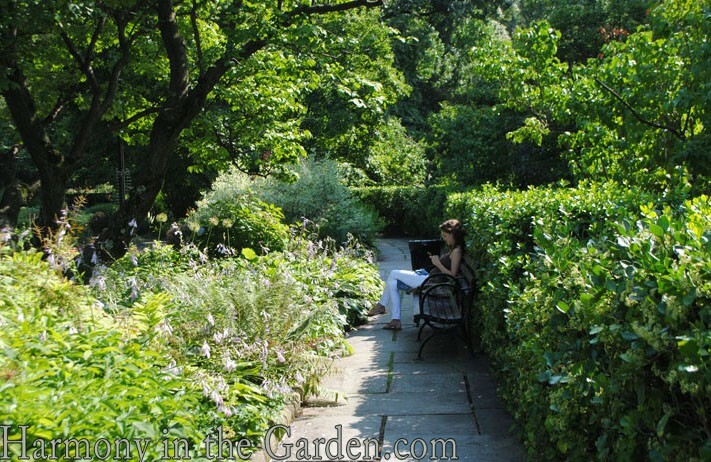 To see so many types of people enjoying this garden reiterates the important role gardens play in everyone’s lives. 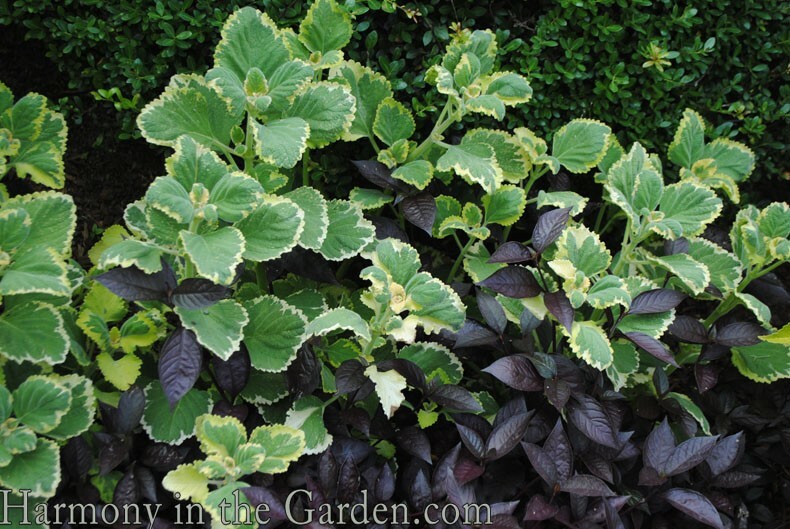 It seemed that everywhere I turned, there was one example after another illustrating the concepts I’ve written about in my latest book, Refresh Your Garden Design with Color, Texture and Form. 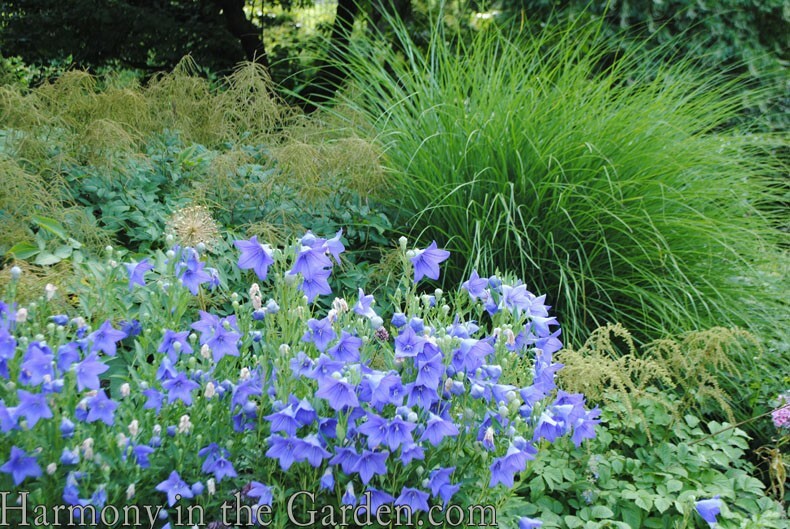 One of the most impressive things about this garden is Lynden’s absolute mastery of color. 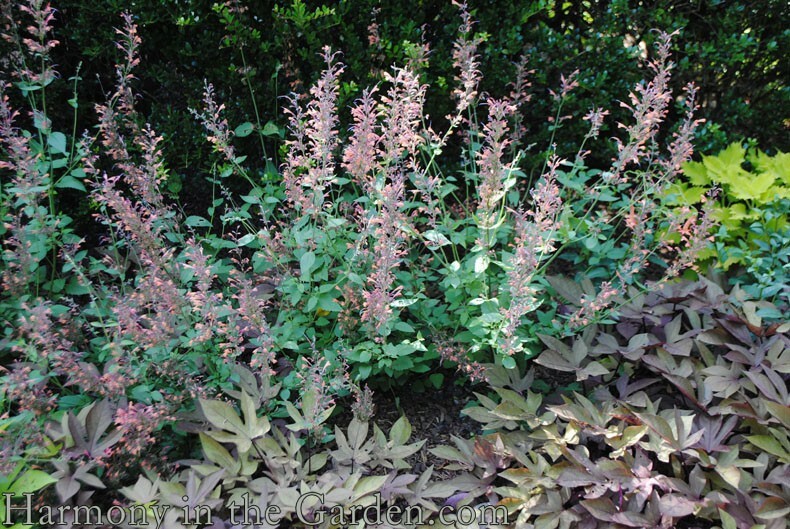 For example, while slowly strolling through the garden you’ll notice subtle color echoes everywhere, thanks to pairing unusual sources of color (such as stems, berries, and grass variegation) with the more common foliage and flowers. 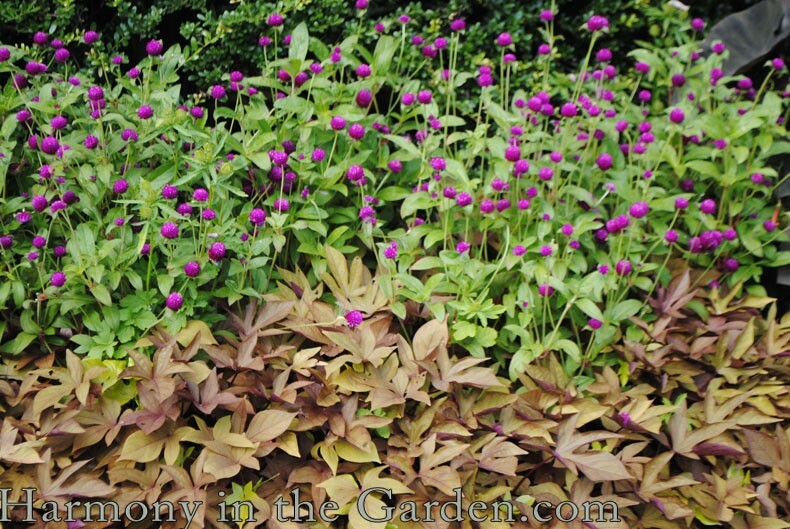 However, a garden filled with nothing but subtle color echoes runs the risk of lulling the viewer to sleep. Not to worry here, for around every corner is an eye-popping color combination, adding a little jolt of excitement to the vignette. 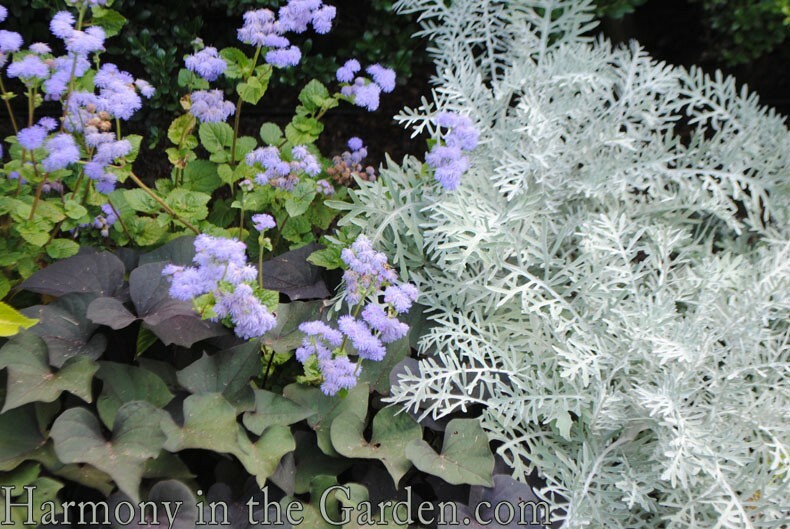 Another will have soothing, cool shades of blue, purple, green and gray. 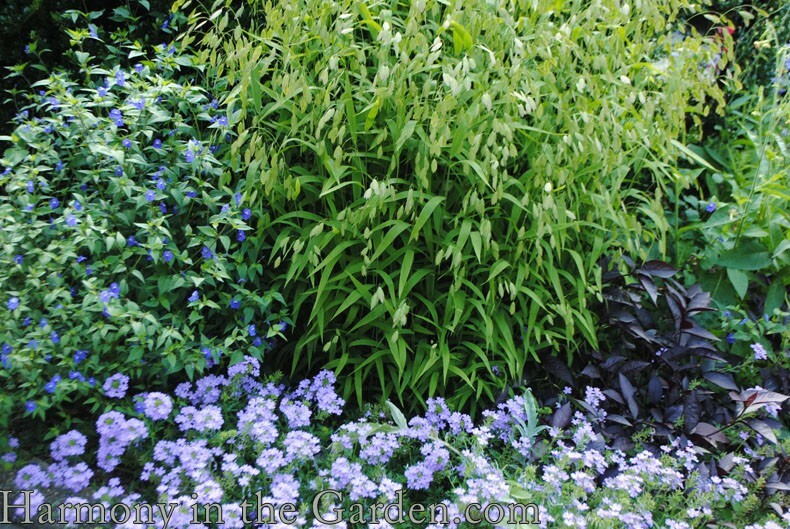 While color reigns supreme in this garden, texture is almost as impressive. 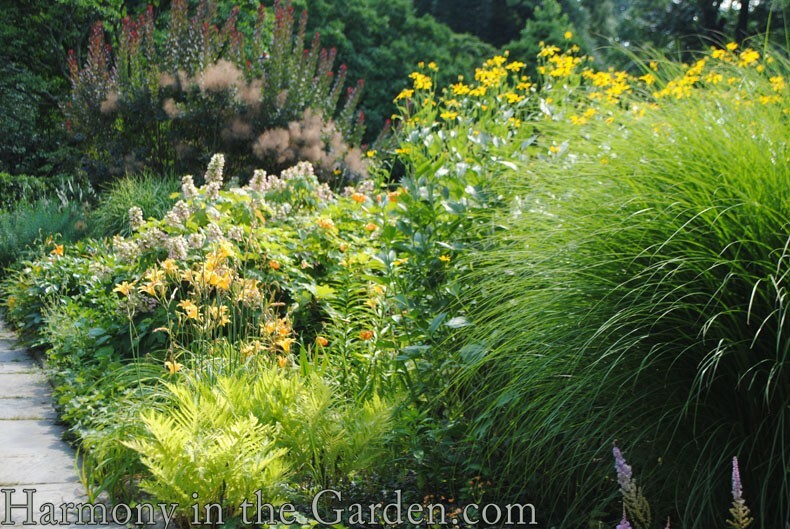 Whether coming from the nubby, unopened buds of a Rodgersia, the fuzzy smoke from a Cotinus, the dangling seed-heads of a Northern Oats grass or the feathery fronds of an Artemesia, there’s no doubt about the powerful allure of texture. 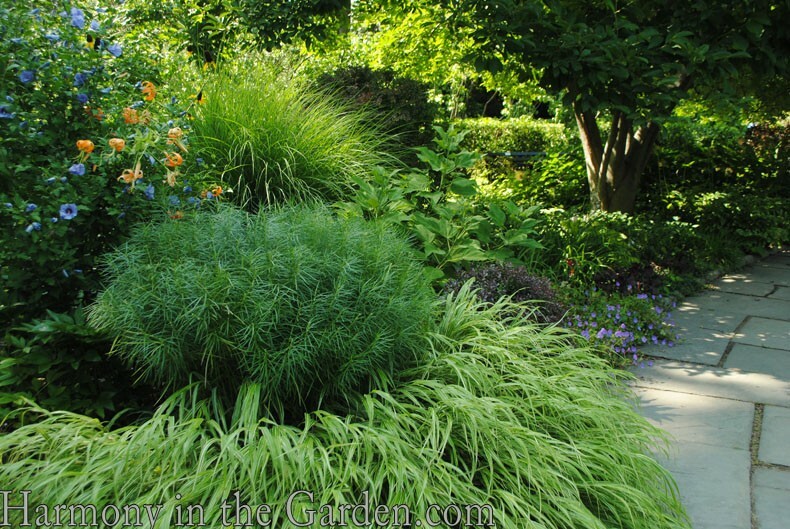 Shape and form can often be the most difficult concept to intentionally incorporate into the garden. Does your garden need something upright? Cascading? Mounding? Add on top of that where to create shape echoes or shape contrasts? 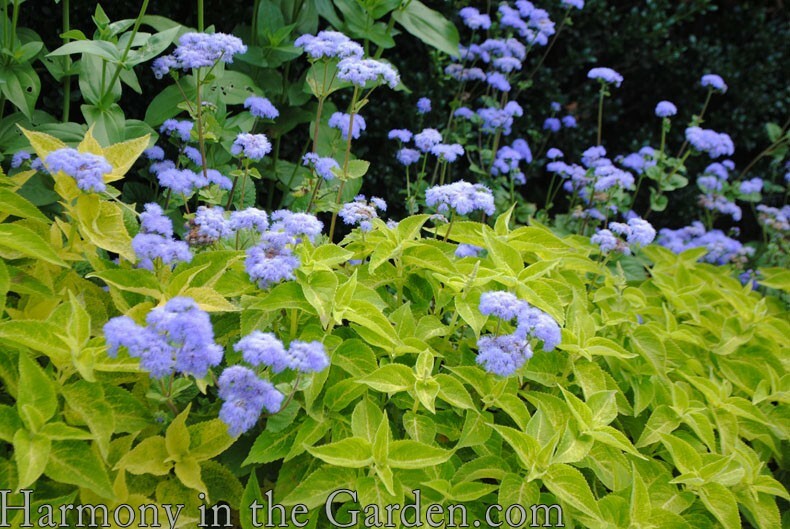 It’s no wonder this is often the last frontier for many gardeners. 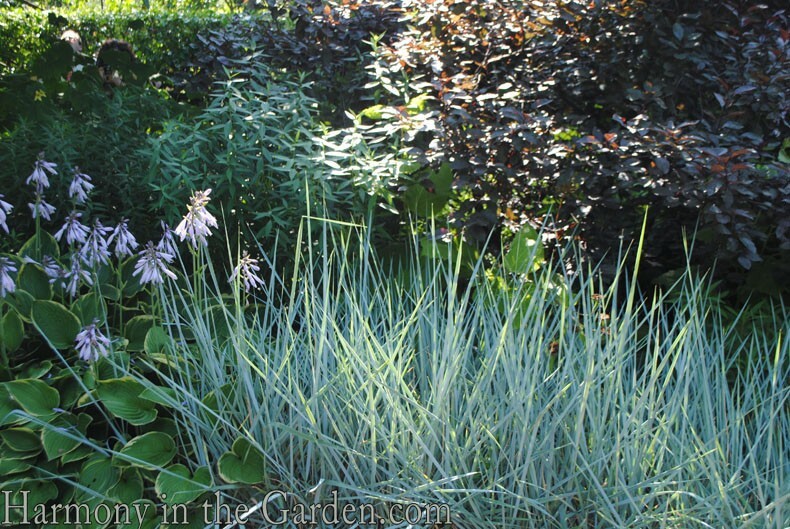 One of the things I admire most about this garden is the creative use of grasses. 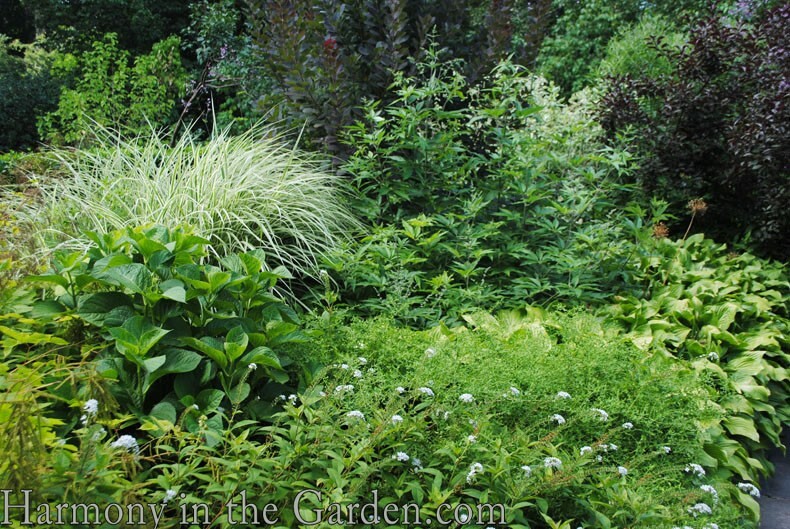 I’m a big fan of grasses and almost always use them in my designs, so I really enjoyed seeing how they were used here. 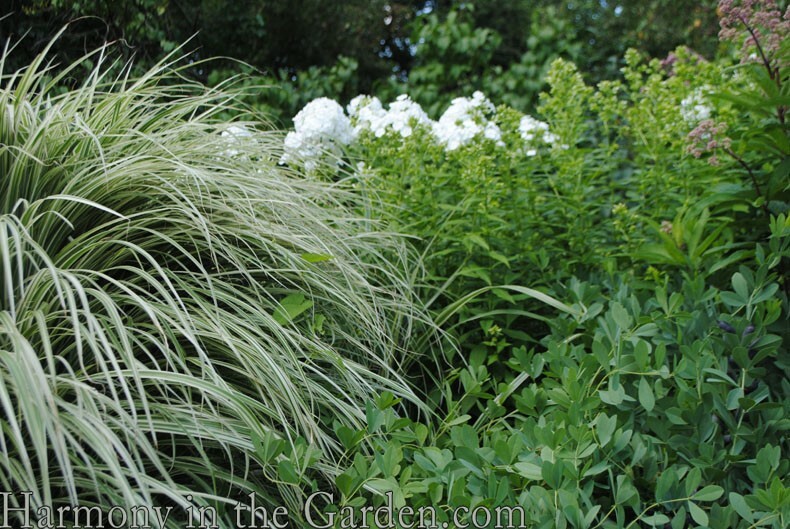 The Miscanthus adds such a soft, yet substantial fountain shape in the back of borders, while lower-growing Hakone add a cascading effect to the front of borders. 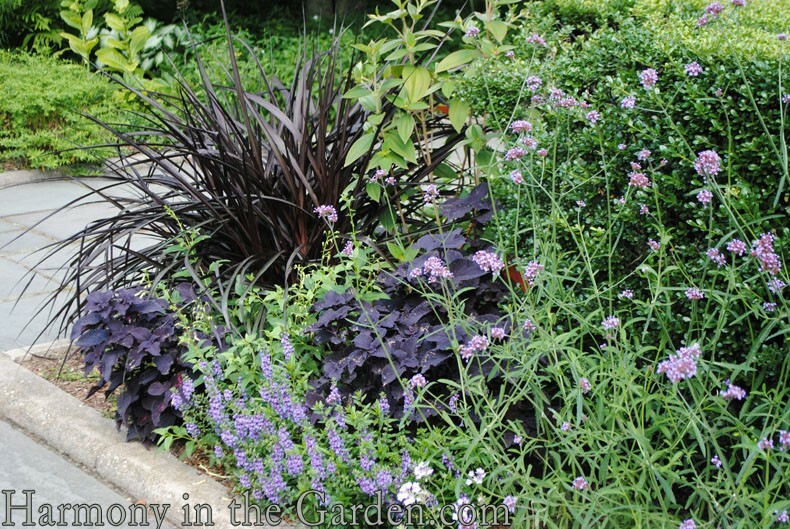 I particularly liked the low, upright Leymus grass adding its cool, blue color to this maroon and lavender combination. 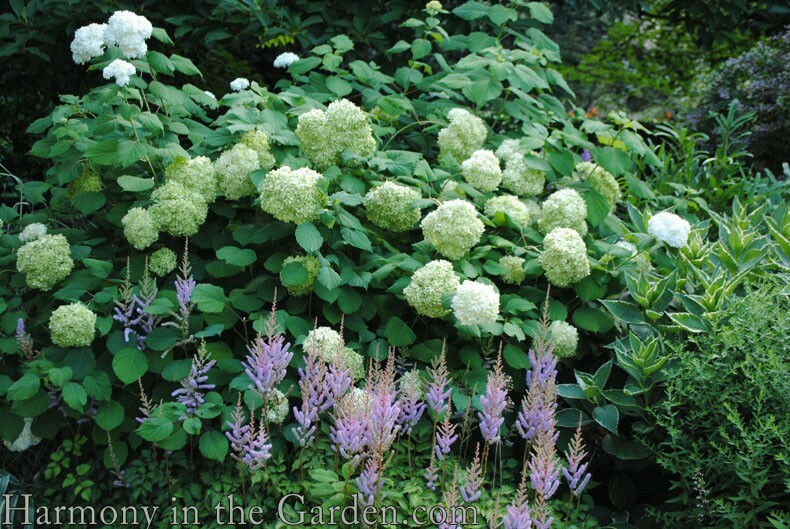 One thing I noticed was her fondness of combining the round, fluffy hydrangea heads with the shorter, upright astilbe. 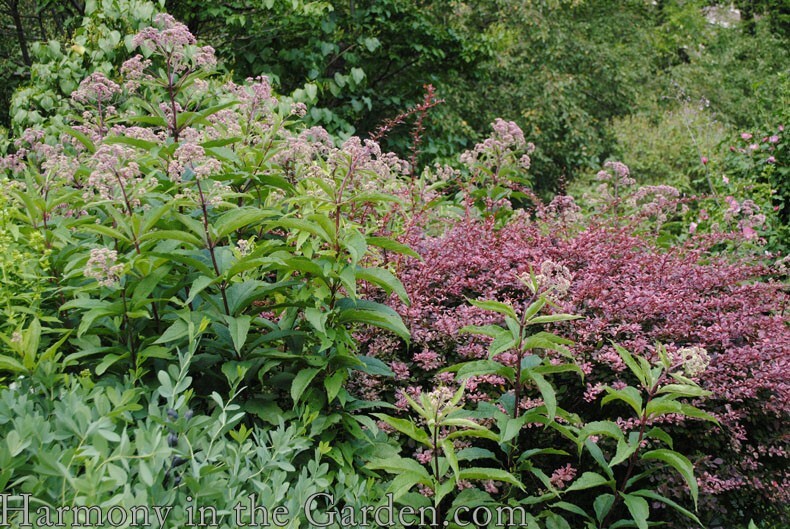 In fact, I noticed similar combinations in the Heather Garden and Madison Square Garden (that she also designed.) Don’t you love discovering a designer’s secrets? 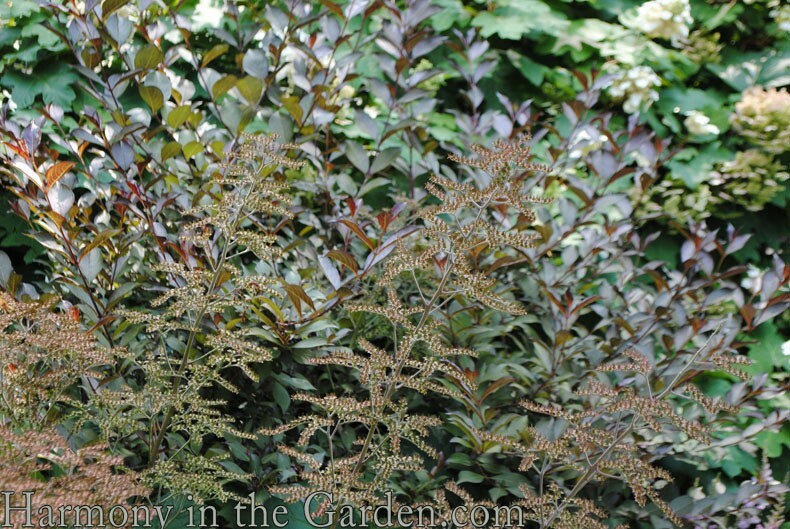 I just wish I could grow Astilbe here (alas, it’s just too thirsty for my climate). 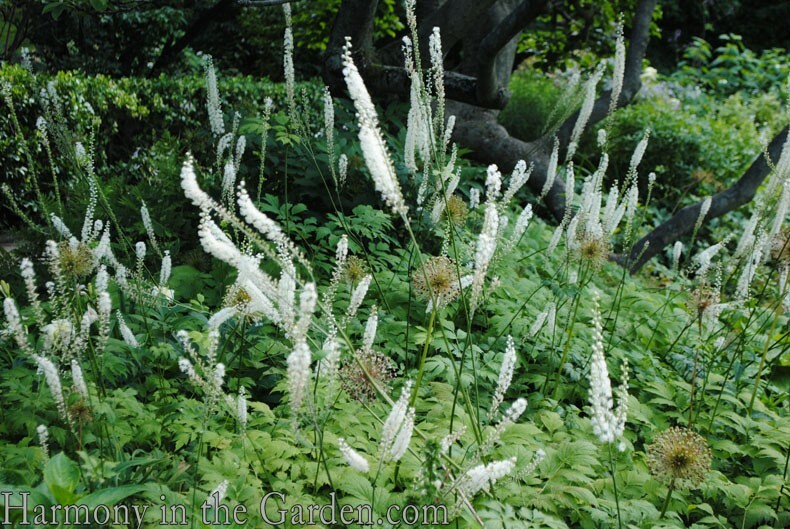 Another knock-out combination mixes the feathery, snake-like flowers of the Bugbane (Actaea simplex) with the globular flowers of the Allium. 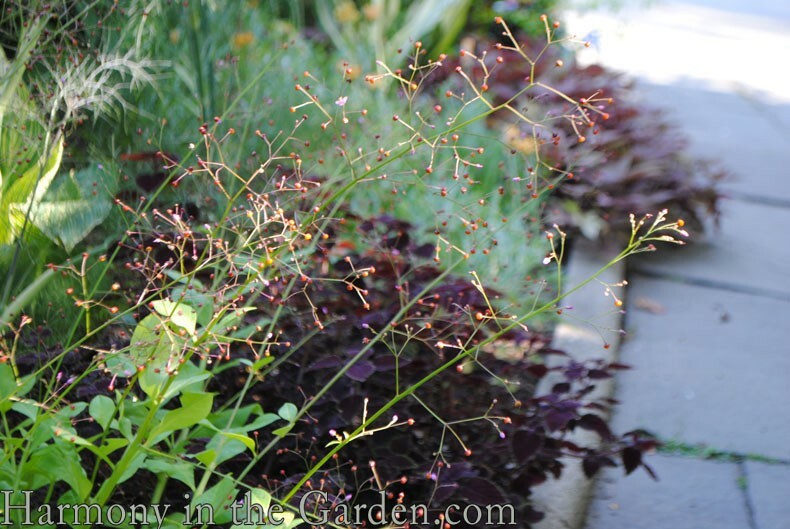 Unfortunately, the flowers are long gone, but the firework-like globes of the tan colored seed heads contrast beautifully with the Bugbane. 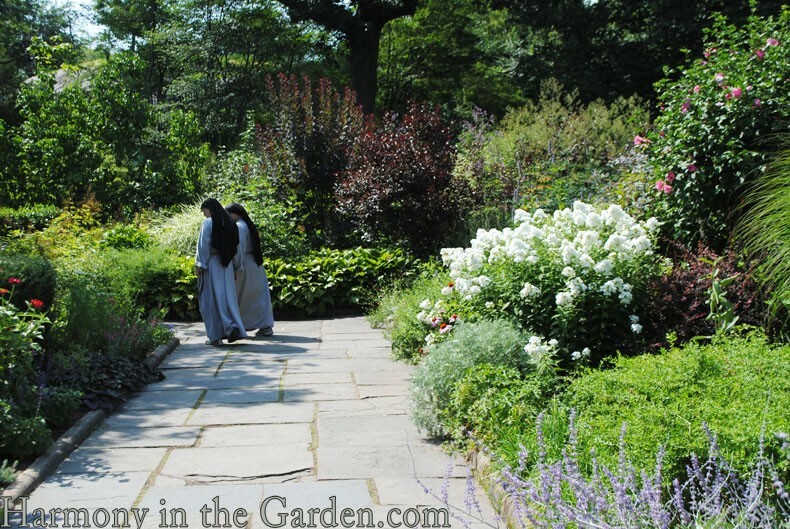 If you love this garden as much as I do, you’ll be even more impressed by the story of its creation. As if Ms. Miller wasn’t talented enough, in the 1980’s she was also the driving force behind the rejuvenation of New York’s many tired, threadbare and neglected public parks. This video (complete with truly dreary before photos) does a much better job at telling the story than I can, so click here and enjoy! 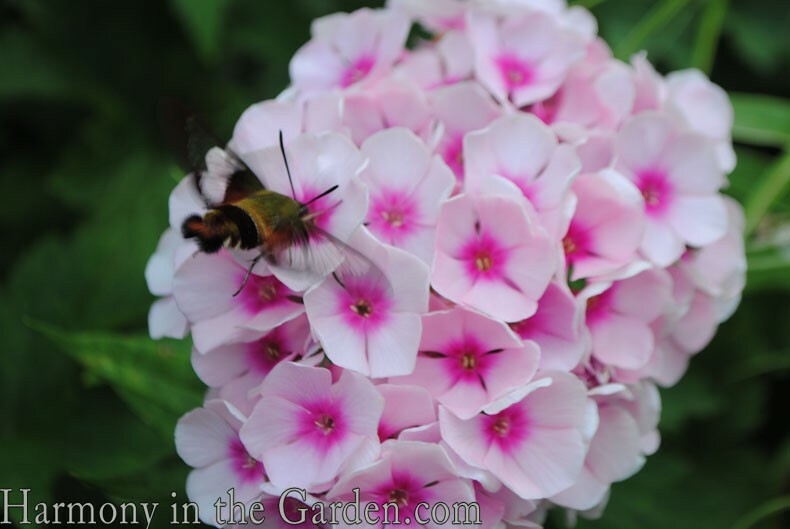 Rebecca, thank you so much for featuring this garden. I live in CT, have lived in NYC twice in my life and have never been there! I’ll be going into the City next month, and if time allows, this will be on my list. 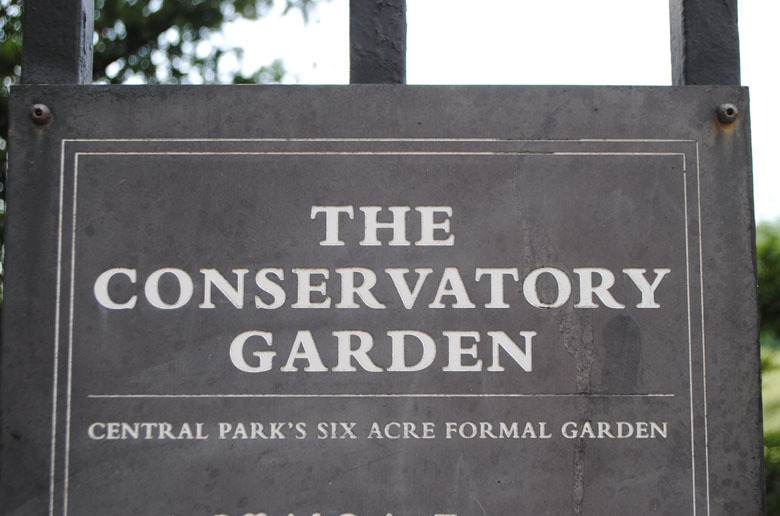 If not, I will plan a trip to NYC in the spring just to visit this Conservatory Garden. I always look forward to seeing the pictures from your garden, and the pictures from the other fabulous gardens that you visit. Oh, Suzanne, I think you will love it. I can only imagine how beautiful it must be in the fall. I love fall and winter gardens, as they quietly crumply and go to sleep. But I think spring is best. The friend I went with kept telling me it never looks as good as it does in the spring. I could’ve stayed there for hours, if weren’t for my impatient daughter wanting to go get yet another macaron somewhere..
Great post! 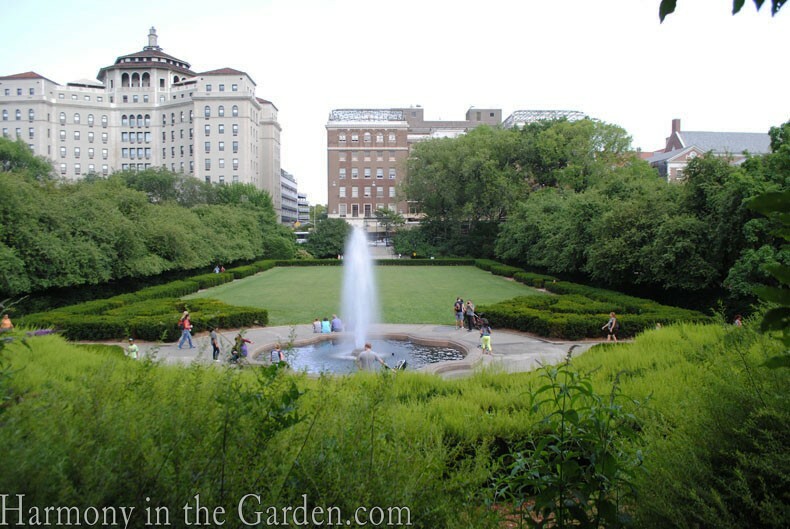 I had no idea – like you, I’ve been shying away from conservancy gardens, but this is amazing! Now I just need a trip to NY in my future. Thanks so much, Town Mouse, I’m so glad you’ve enjoyed reading about these surprise gardens! Loved this Rebecca! It’s truly inspiring. Thanks so much. I just took a look at the video and had tears at the end. What an amazing endeavor for Lynden Miller. 10,000 volunteers planting daffodil bulbs. Now that’s community spirit in action! Now I must go see it in person! I had tears, too, Mary! What an amazing person she is, and to see the community stand behind her like that is so wonderful. No wonder the gardens she’s designed have such a ‘soul’ to them. I hope you can see it in person someday. What an Edenic retreat within a city of concrete, glass and metal. If I lived in NY, I’d be there all the time! It’s funny how you assume that New Yorkers don’t have gardens. And this you see this one, which anyone can enjoy, and no one has to maintain (except what is probably a huge paid staff). I wonder where all the plant material comes from. It reminds me of Longwood. I visited this garden 3 times and couldn’t get enough of it, Debra. There always seemed to be something else to see – truly spectacular. I’d love to see it in the fall. 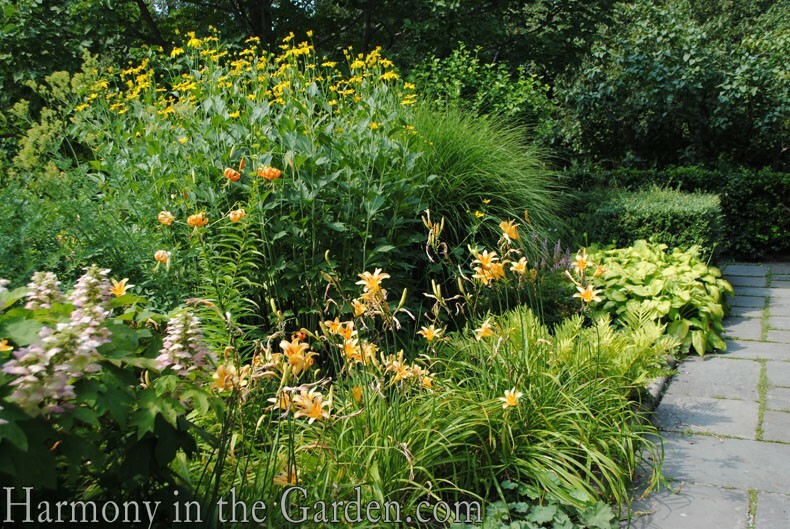 Pam Pennick is going to NYC in October and I hope she visits this garden and takes photos!